to avoid orca accumulating brlapi connections. - debian/patches/java-jni: Fix jni path. - control: Add libexpat1-dev, libpcre3-dev build-dependencies. to avoid renaming the espeak module for now. - debian/patches/java-jni: Fix jni path, allow to preseed it. - rules: Preseed jni path. - control: Explicitly add libespeak-ng-dev build-dependency. - rules: Add espeak-ng driver to brltty-espeak package. - debian/libbrlapi-jni.install: Move jni to multi-arch. - control: Add dh-exec build-depend. Make libbrlapi-jni multiarch: same. - compat: Bump to 11. - debian/brltty.docs: Drop elder README file. # 'key.alias' for the name of the key to use. # The password will be asked during the build when you use the 'release' target. 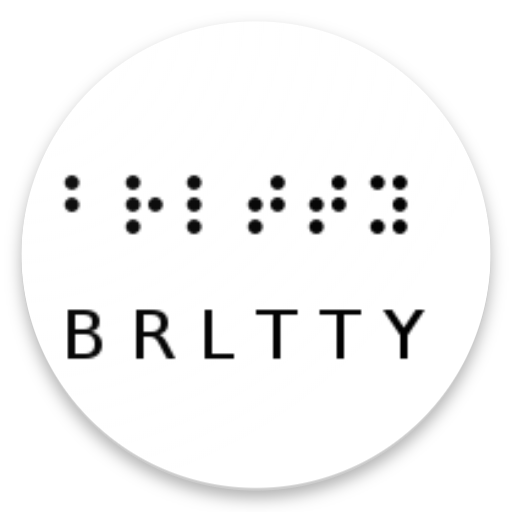 # text mode) for a blind person using a refreshable braille display. # Copyright (C) 1995-2018 by The BRLTTY Developers. # Copyright (C) 1995-2019 by The BRLTTY Developers. # BRLTTY comes with ABSOLUTELY NO WARRANTY. # later version. Please see the file LICENSE-LGPL for details. # This software is maintained by Dave Mielke <dave@mielke.cc>. processProgramArguments optionValues $optionDefinitions positionalArguments "\[property ...\]"